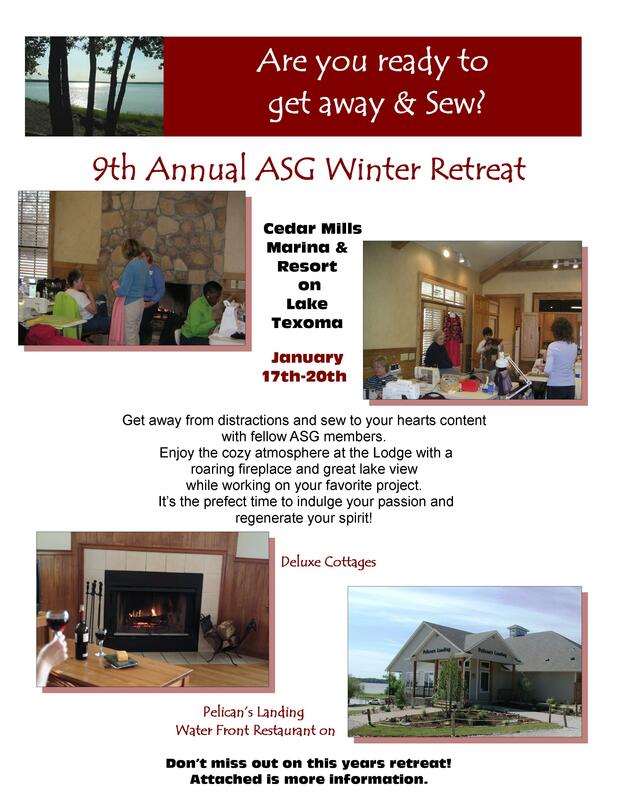 Get away from distractions and sew to your hearts content with fellow ASG members. Enjoy the cozy atmosphere at the Lodge with a roaring fireplace and great lake view while working on your favourite project. It’s the perfect time to indulge your passion and regenerate your spirit! 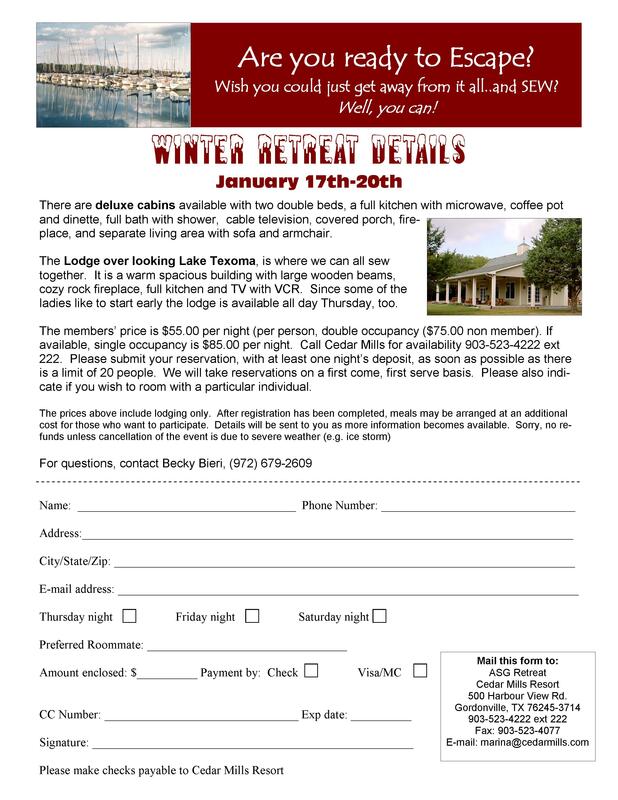 The 9th Annual ASG Winter Retreat is taking place January 17th-20th!